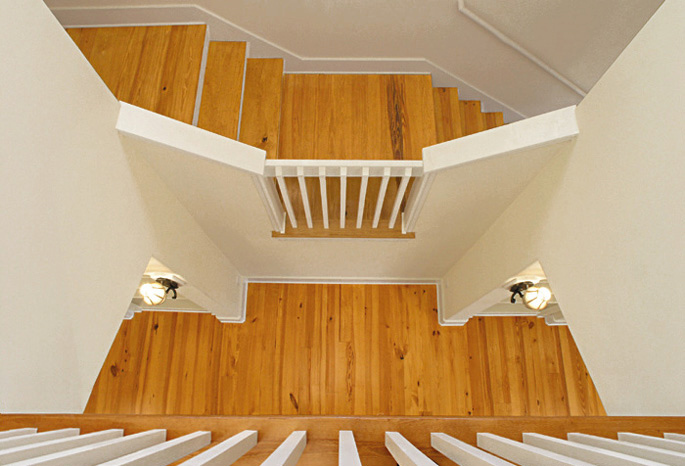 Heart Pine flooring is manufactured using the middle portion the heart of the domestic Southern Pine, which yields the most dense, the strongest and the hardest wood. Harvested from sustainable forest resources, it is precision-milled into both solid and engineered tongue-and-groove flooring, both prefinished and site-finished. Naturally finished heart pine floors become richer and darker with age, some grades are often used with light stains to enhance the unique characteristics of fine heart pine flooring.